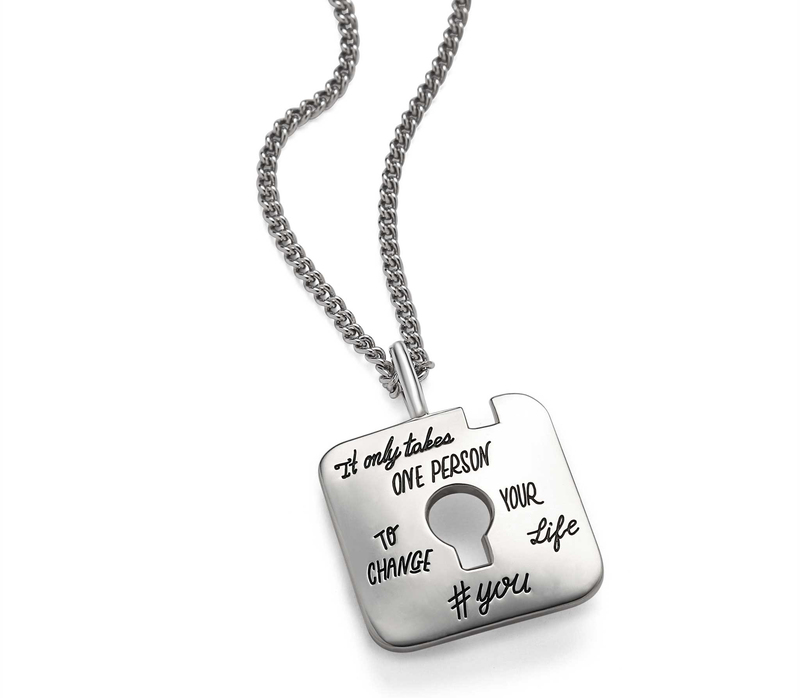 It only takes one person to change your life #You. Wear this keyhole pendant to remind yourself that you hold the key to your own life and if you want to change it you can open a new door. Not happy where you are? Move. Not satisfied with your work? Try something new. This sterling silver necklace is engraved with decorative script on a shape inspired by an antique railroad token. It makes a great gift for someone who is feeling stuck or who is about to embark on a new adventure. Help them claim their power and shine with a distinctive piece of jewelry. Select one of four chain lengths: 16, 20, 24, or 28"
to receive exclusive offers & inspiration!